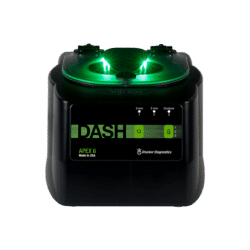 The DASH Apex 12 STAT centrifuge offers simple controls and powerful performance to minimize lab error, reduce turnaround time, and streamline training. The user-friendly two-button interface makes it easier than ever to select a preset or program your custom validated STAT cycles. 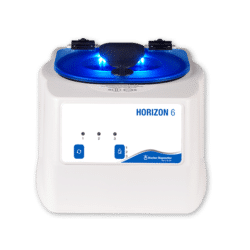 LED lid lighting indicates when the centrifuge is ready to load (off), running (on), or done (flashing) and prevents forgotten samples, even in the busiest labs. 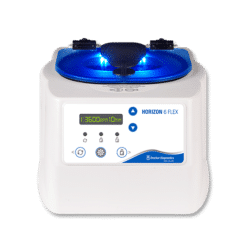 Each centrifuge comes ready to run with the rotor, tube holders, and warranty included in the affordable price. 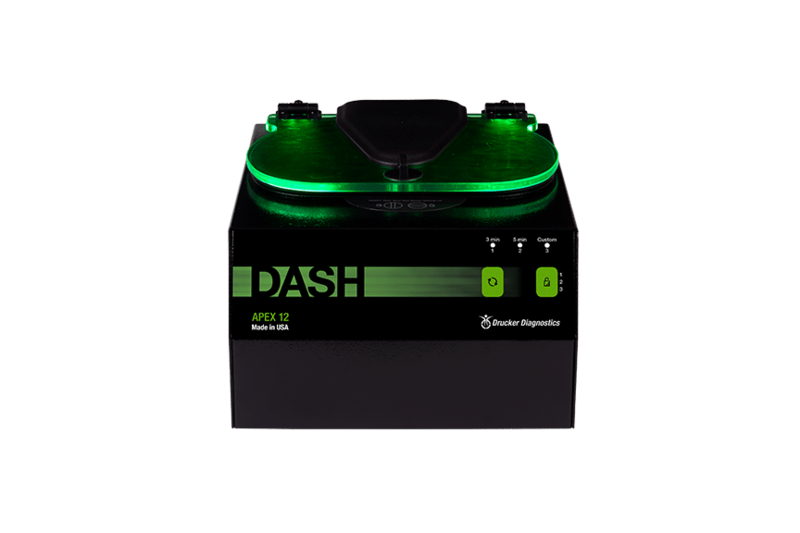 Like the DASH Apex 6, the DASH Apex 12 is designed to provide high STAT processing but on a larger scale. 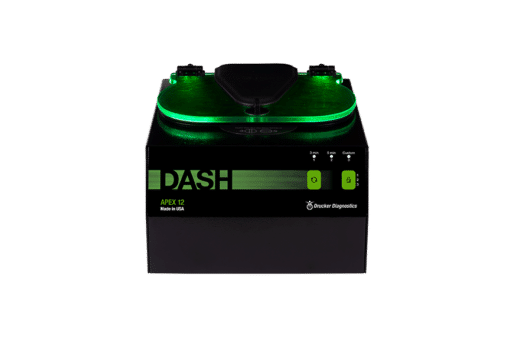 The DASH Apex 12 can also be used with other tubes that involve Coagulation, PPP, and Gel Applications.